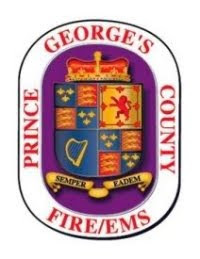 With colder temperatures and dangerously low wind chills being a part of our forecast, The Prince George's County Fire/Emergency Medical Services (EMS) Department wants our residents to avoid serious health problems that can occur due to prolonged exposure to cold weather. The two most common conditions are hypothermia and frostbite. Remember, by staying healthy will help the Fire/EMS Department by you not having to call 911 for an ambulance. The Fire/EMS Department would like to share recommendations by our Health Department for you to stay healthy during cold weather. All residents must take precautionary actions as a primary defense against injuries and illness resulting from extreme cold weather conditions. When exposed to cold weather, our bodies lose heat faster than it can produce it, resulting in bodily injury, illness, and even death. The Fire/EMS Department advises all residents to check on your elderly relatives and neighbors to ensure they have adequate heat and protection from the cold. Limit the amount of time your pet spends outside. Indoor pets when outside in the freezing cold, can also contract hypothermia very quickly. In either case, until help arrives or a doctor sees the person, move the person to a warm room, warm the body with dry layers of blankets or clothing, and give warm beverages. Don't forget you pets need to stay warm as well. Leaving pets outdoors in these cold conditions could lead to death. Allow pets to remain indoors and stay warm along with you!! !